Our fleece Cuddler with a water-resistant outer shell. Includes a button hole for use with our Hug-A-Dog Harness. 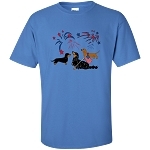 Price based on length, beginning at $39.95. Select Neck Measurement Select Neck Measurement 8" 9" 10" 11" 12" 13" 14" 15" 16" 17" 18" 19" 20" 21" 22" 23" 24" 25" 26"
The Water-Resistant Cuddler™ is made from a single layer of warm, anti-pill polar fleece with a light-weight water-resistant nylon shell. - Easy-on pull-over, adjustable chest closure (Velcro®). 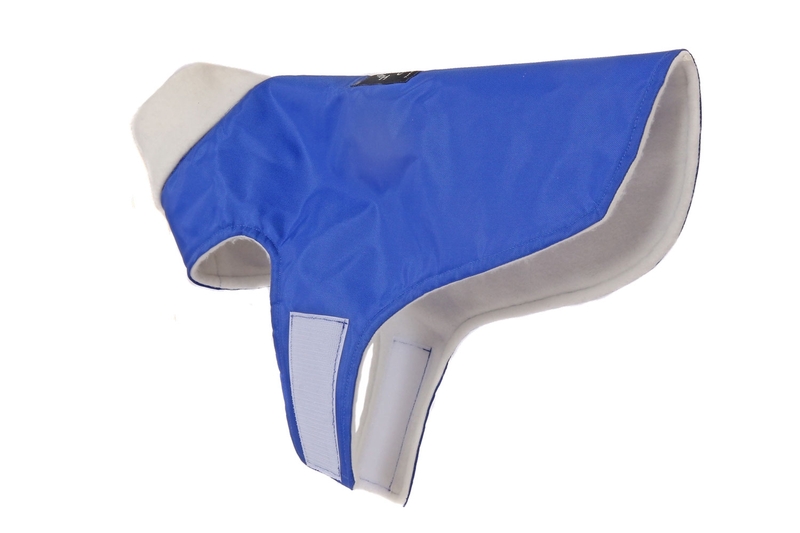 - Full turtleneck collar to keep your dog's neck warm. - Long enough to cover the doxie's back. - Includes a button hole to allow the Cuddler™ to work with our Hug-A-Dog Harness® (and other harnesses). This is one of our custom-fit, quality products. Please allow 2-3 weeks for production/delivery. MEASURE CAREFULLY! THERE IS A $7 RE-STOCKING FEE FOR COATS RETURNED DUE TO MEASUREMENT ERRORS! I purchased two of the Cuddlers for my smooth-coat doxies. They are shiverers so the Cuddler is a perfect weight for these chilly mornings. It's a light weight fleece, not too heavy or cumbersome to get on and off. I must have measured perfectly because the fit is exactly to the tail so the dog is well covered. I went with the "grab bag" and the colors selected for us were great. I purchased a cuddler for my long hair doxie, he doesn't like cold, wet weather and loves his sweaters and jackets. The jacket is so cute and fits perfectly over his hug a dox harness, finally he doesn't look like he forgot to put on his pants and he is not tripping over the front armholes because his legs are so short. I've had other coats and have been frustrated they didn't fit my Dachsie. But this coat is wonderful. Fits my Dachsie perfectly! Because we use the harness under it, I increased the measurement of the neck and chest about 1/2 inch. The neck is one piece, not adjustable like the harness; that surprised me because the coat info on the website didn't mention that. But aside from that, I rate it 5 stars. This dachshund coat, designed to my dog's specific dimensions, fit beautifully. It is heavier than those from large commercial firms (better quality fleece, I suspect). Dog is comfortable and kept warm during the coldest part of our winter. The Cuddler coat looks wonderful on my doxie. Loved that it was custom made for him and it looks it! Fits like a glove, and super cute pattern. He gets many compliments when he is out walking in his coat. My Dachshund wears the Hug-A-Dog harness, and one of the things I love most about the coat other than the perfect fit and ease of putting it on him is the way it fits perfectly over the harness. He loves it, too! I've given up trying to find clothing to fit my Doxie, so I'm very thankful that Dachshund Delights offers custom-made items. Hershey loves his coat. Here in Canada we just got a big dump no snow and it's cold! Every coat he's had he's walked out of. the Snuggler fits well and covers his entire body. And he's not soaking wet at the end of his walk. We bought this coat for Buddy Guy who LOVES to play outside and he can't wait to put it on! Even Georgia gets cold in the winter. The fabric and size are perfect. You can bet we'll be back for more. Thank you! I got the waterproof ones because it rains a lot here in TN and these are perfect. Ordering was easy and I received quickly They are just what I was looking for. Highly recommend! My long-haired dachshund Noodles hates the cold, so I bought this coat for him now to allow plenty of time for winter. It fits perfectly and looks so cute! We went with royal blue fabric and navy plaid fleece, which complement each other well. There's a little slot on the back so you can clip your leash to the harness under the coat. It doesn't work for Noodles since his harness is a little different with the d-ring is further down, but his harness fits very well over the coat so it doesn't matter. He loves the soft feeling of the fleece! 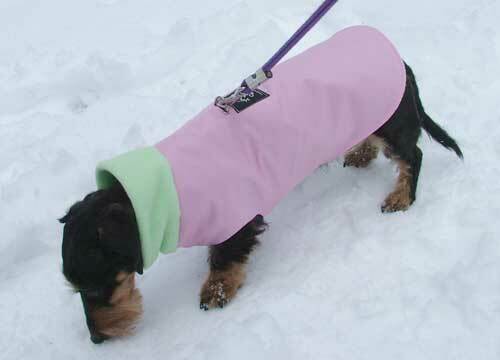 I purchased 3 of these coats - 2 for my doxies and 1 for my Cairn Terrier. They are absolutely adorable! The fleece underside keeps them warm and snuggly and the outer part is water resistant. The Rainbow Butterfly pattern with the yellow exterior is super cute. Highly recommend this product as it is so easy to put on the pups. Now I might even get them to go out in the rain. We live in a warm climate, but I traveled to Europe over Christmas and this jacket was a lifesaver. It looked adorable and kept Winnie nice and warm - fit perfectly! Got this coat for the new puppy this winter. I love all things from this site. Especially since you measure your dog and get a perfect fit ! Love this water proof coat with the fleece lining. My only regret is that this one has the slit on the back to be used with the harness. I do not have a harness yet, but use a collar.It easily slips up the high neck of the coat though, so no problem. We don't need coats that often down here in Tn. but when we do, it's nice to have one. 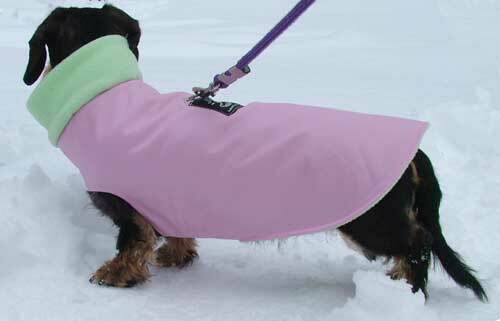 You will not regret ordering one of these, or any other coat from Dachshund Delights. 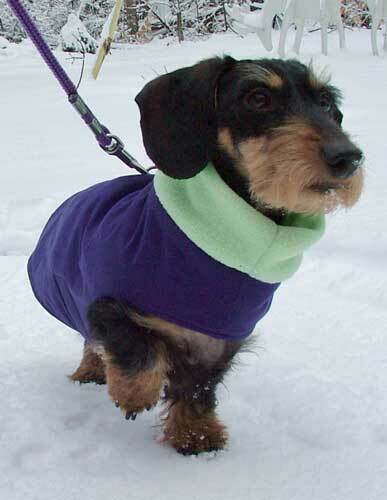 My other two doxies have had several harnesses, coats, and sweaters over the years. Love them. These are the best dog coats I have ever found for my dachshunds. They fit perfectly and are so adorable. The customer service is wonderful as I made a mistake on the measuremments and they fixed it for me! Just wanted to say that this coat is perfect in everyway. 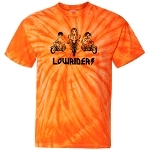 Good quality material, great design, so easy to put on. Now I want a summer rain coat😀! I received the coat that was made for Reese- very nice love it, i just wish it were a little more roomy- its very snug on her with not alot of room, and its a little short on her back.She looks adorable in it. 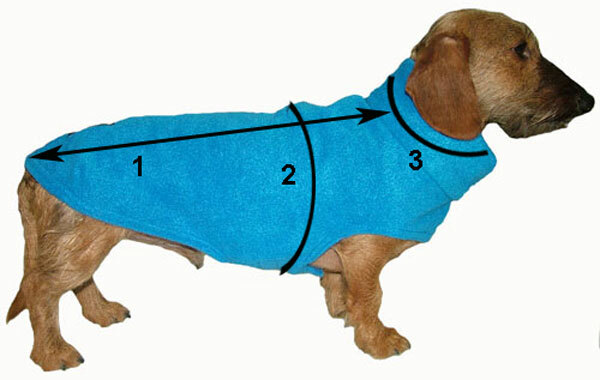 NOTE FROM DACHSHUND DELIGHTS: The coats are made to the measurements provided to us. We are always willing to work with customers to get the proper fit. 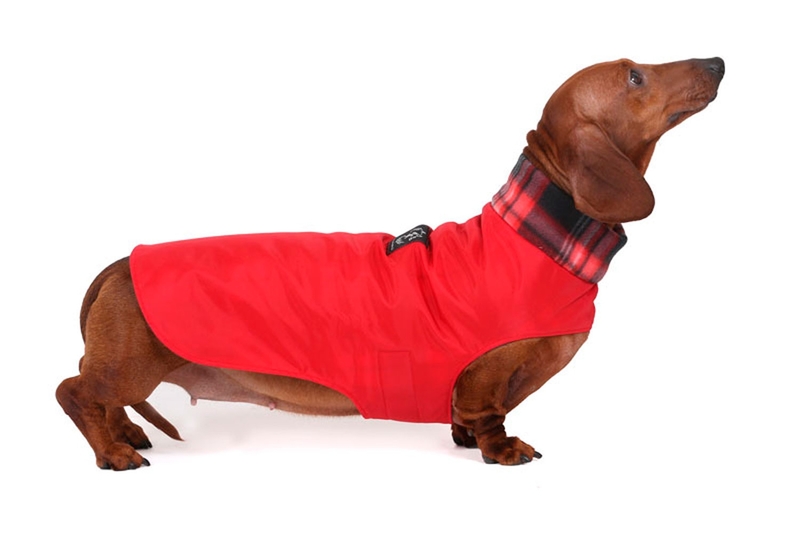 A dachshund really needs a Dachshund Delight coat. Nothing else I have tried or bought at pet stores has fit as well. With every coat or sweater I have previously tried on Remmie, she would walk out of the "arm" holes - even when I tailored them a bit. The turtleneck & strap used in her Hug-a-Cuddler coat is perfect. Remmie's coat has been warm enough for most of this winter in Ontario, Canada. However, I would say it is a spring & fall coat in general. This coat fits perfectly and is so soft and comfy. My dog really likes it. Nice material and great design. I ordered this for my 8 month old standard dachshund, I can say it arrived at the perfect time for the weather to turn pretty chilly! It fits her perfectly, leaving her legs room to move and covering her entire back! It's also very well made! So happy I found this site! 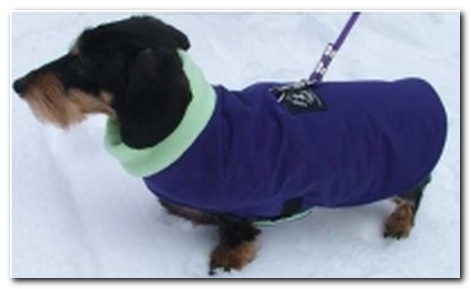 Coat was a perfect fit for our unusually slinky miniature dachshund. We like the look and the ease of putting it on. 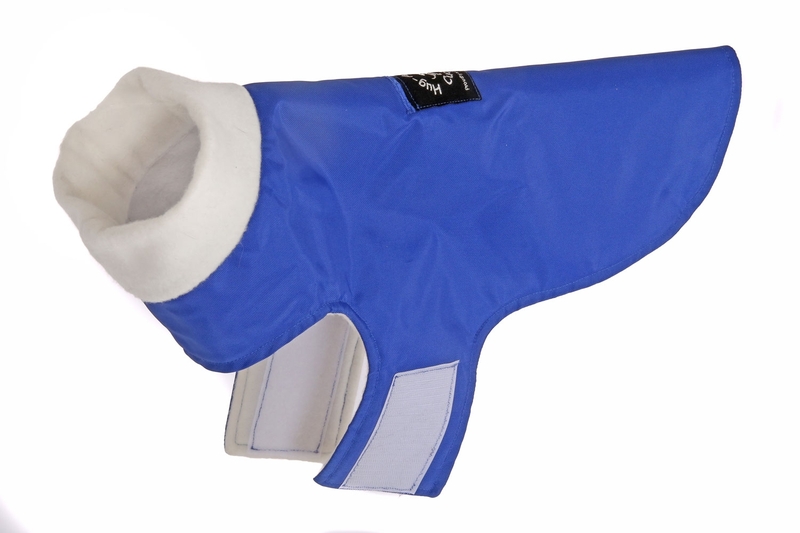 Our dog hates getting wet so she loves the water repellant exterior, and the soft comfy lining. She barks with excitement to get her coat on. bella loves her water resistant cuddler coat! it fits perfectly and keeps her warm and snuggly in challenging winter conditions!thank you for such attention to detail and excellent customer service! I've been a Dachshund Delight customer for many years. The merchandise is well-made & custom fit. I'm giving the cuddler 5 stars, but I'm not a fan of the button hole to feed the leash through. Otherwise, it's a great winter coat. Our doxie puppy doesn't seem to mind the frigid temps when he goes out to do his business. outstanding service and the dogs love their coats. I have been very happy with both the Hug-a-Dog Harness and the Hug-a-Dog Cuddler Coat. My dog really doesn't like coats but is okay with this one as I can just slip it over his head and fasten it around his tummy and he is good to go. I appreciate the fact that it keeps his back dry as his long hair makes it difficult to dry. Of course doxies are so close to the ground, keeping their underside dry is next to impossible! Keep up the good work. I'm sure I will be ordering from you again. Excellent jacket , fit my precious baby perfectly. He doesn’t have a lot of hair so he loves being wrapped up in this comfy warm jacket. We all love it and would highly recommend it!! We love Oscar's Hug-a Dog Cuddler. It fits his Dachshund shaped body perfectly. It protects him from the rain and snow and keeps him warm. Thank you so much for this wonderful product. We get lots of compliments on his fashion sense!! Sinc I live in a rainforest this is a necessity. This is my second rain/warm coat and I love it. It keeps her warm and dry. Great customer service as well ! Love my custom dog cats. I have purchased several. this was the first coat I ordered with the water resistant fabric side. We use an easy walk front lead harness and the urethane is quickly lifting where the harness rubs it.